‘Virtuoso of the Arts’ (The Times) Matthew Sharp is teaming up with one of the country’s most admired orchestras, the Northern Chamber Orchestra for their next concert in Macclesfield. Matthew has previously performed with Opera North, Manchester Camerata, and the Royal Philharmonic Orchestra amongst many others and returns to the NCO fold following a hugely successful and well-received concert in Stockport earlier this month. Matthew is internationally recognised as both a compelling classical artist and a fearless pioneer, and in this concert he sings a selection of songs by Schubert, before returning with cello in hand to join the NCO soloists for a performance of Schubert’s String Quintet in C major, the slow movement of which Artur Rubinstein famously described as depicting “the entrance to Heaven”. Also on the programme is Mozart’s magnificent Clarinet Quintet, a piece redolent of the golden warmth of Così fan Tutte, which features the NCO’s principal clarinet Liz Jordan. 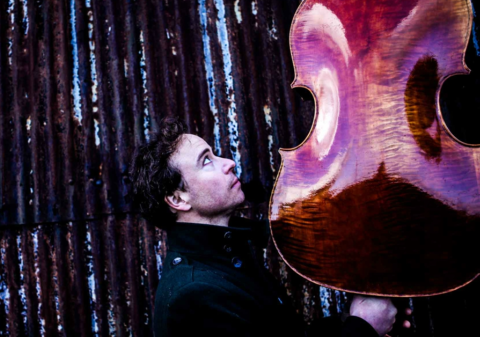 Tickets for Matthew Sharp and the Northern Chamber Orchestra at Macclesfield Heritage Centre on Saturday 13 April 7.30pm, are priced at £21 in the Stalls and £16 in the Gallery; under 18s go free. Book online at www.ncorch.co.uk or call the NCO box office on 0161 247 2220. Tickets are also available on the door until sold out.